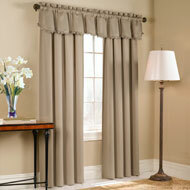 Ombre Sheer Curtain Panel Pair from Collections Etc. 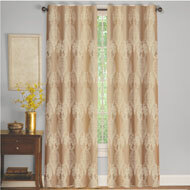 These distinctive sheer curtain panels feature a subtle ombre pattern sure to enhance any décor, and the set of two panels come in two sizes and 3 colors. Rod pocket top. Polyester; imported. This item ships from a separate warehouse and will arrive in a separate package. Colors available in Black/White, Grey/Yellow or Mist. 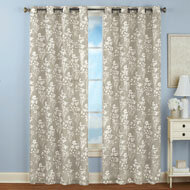 Sizes available in 40"W x 63"L ea. 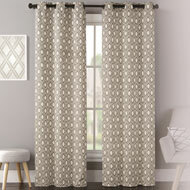 or 40"W x 84"L ea.